The Adidas X 17+ is a dream cleat for any player who lives to play at the top level. Whether it's a 5 a side Sunday league, High School or Pro level. These cleats are made for those who want to combine speed and style into one. 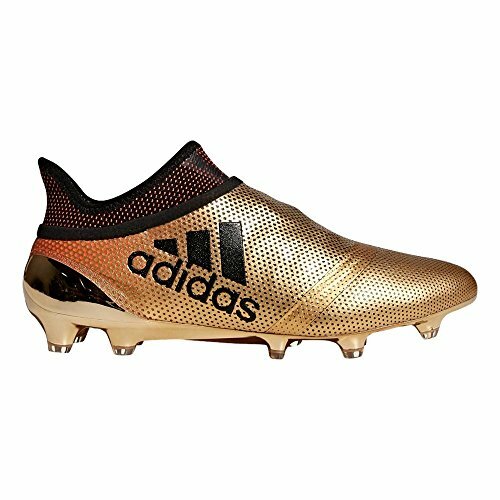 With soccer boots manufacturers pushing their creativity out of bounds, Adidas has innovatively designed the X 17+ soccer boots. 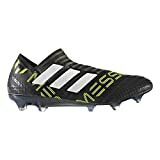 They’ve improved on the successes of the 16 + soccer boots while pushing for an even better fit, comfort and functionality. The X 17+ boots have a mesh like upper look; however you will not find a hole in these boots. It is just graphics with dots to support Non Slip Grip. The X 17+ features stunning blends of grey, black and light blue versions that can be a great collection for any soccer boot fan. The x 17+ boots deliver a unique silhouette depending on how you tie and tuck the laces. The lace covers blend with the forefoot flawlessly that for someone who doesn’t know that these shoes have laces will think they are lace-free. This prevents the laces from coming in contact with the ball for an even better experience on the pitch. The soleplate has also undergone a major improvement. Unlike previous Adidas soleplates, The X 17+ soleplates do not give as much, which makes them stay in shape for much longer. However, due to high intensity movements on the pitch they eventually will wear down. Although, this is after several periods of serious use. Soccer with the X 17+ feels nothing like the previous versions of soccer cleats. These boots have maintained the slimline look of previous versions but have added a thin layer of padding under the upper lining for a greater fit and comfort. 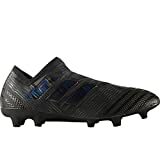 This also creates a uniform feel for the entire boot and keeps the synthetic upper mesh from making your ball touch to feel stiff, sticky or like there is a piece of plastic between you and the ball. Adidas has carefully balanced the padding to make sure that players don’t feel like their touch has been dampened.The padding also that Adidas has added to the synthetic linings creates some warm pressure with your forefoot that makes the boot respond beautifully with any touch of the ball. Passing the ball, receiving a pass or making any moves therefore doesn’t require much energy but simply a matter of technique with the X 17 + boots. The X 17+ soleplate borrows on the tested and dependable Adidas SprintFrame. The studs underfoot are not completely conical however they have smack indentations that make them look like teardrops. Nevertheless, the soleplate and studs do fantastic job like any quality soleplate should that you even forget to think about them. There are two spines that run through the midfoot that may be a bit stiff at the beginning they flex easily to your feet early on. With the padding that Adidas has added into these boots, the X 17+ offer a very snug fit yet with a very high level of comfort. Adidas has kept the lacing system from previous versions in place to enable some slight adjustments. Therefore from right out of the box to after several playing sessions, you will find the X 17+ boots surprisingly comfortable.The upper lining of these boots will conform to your feet immediately you wear them and the comfort improves as they flex while you play. The fit keeps your feet locked during for any type of movement in the pitch and this gives you confidence to pull all tricks in your book for an enjoyable experience on the pitch. However, despite the X 17+ boots being very accommodating to most foot types, those with very wide feet will not find them comfortable. Also, due to the lace covers attaching to your forefoot, that area might feel a bit tighter than the rest of the boot; the feel fades after two or three sessions . The X 17+ greatly improved from the features of the X16+ with an even better design. The touch, the fit and comfort are very top notch with the X 17+ although there is plenty of room for improvement.The Non-Slip Grip feature for the X 17+ still desires lots of improvement. Additionally, though the lace covers offer some benefits on the aesthetics, they still don’t change much on how this boots play. But all factors taken into consideration, these are great boots and will deliver an amazing pitch experience. Find The Adidas X 17+ PureSpeed That Fits You!